The standard image of the Yokosuka R2Y1 Keiun. Speculation suggests the first scoop on the side of the aircraft provided cooling air for the engine’s internal exhaust baffling, the second, larger scoop provided induction air for the normally aspirated Aichi [Ha-70] engine installed in the prototype, and the final two ports were for the engine’s exhaust. 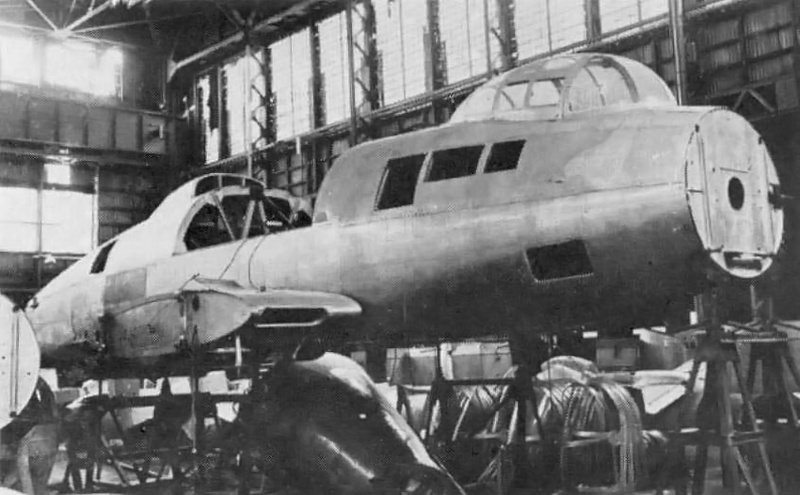 The two He 119 prototypes were delivered via ship to Japan in 1941 (some say 1940). The aircraft were reassembled at Kasumigaura Air Field, and flight tests occurred at Yokosuka Naval Base. During an early test flight, one of the He 119s was badly damaged in a landing accident, and it is believed the other He 119 suffered a similar fate. 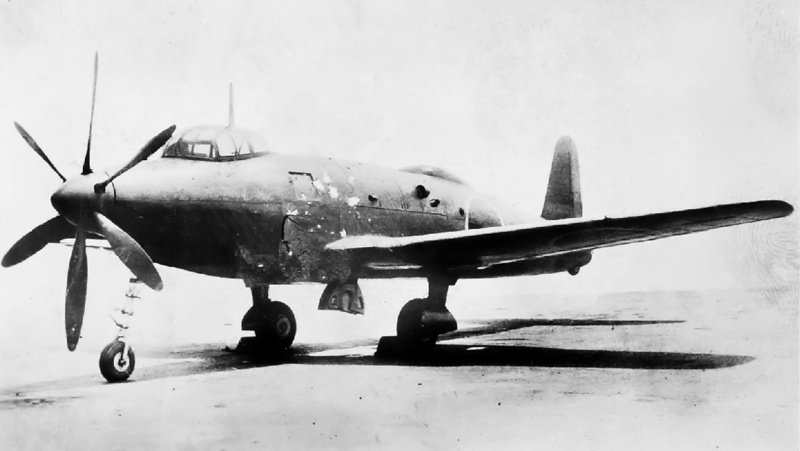 Plans to produce the He 119 never moved forward, but the Japanese were still interested in a high-speed reconnaissance aircraft and felt the general configuration of the He 119 held promise. A good view of the R2Y1 where a radiator inlet can be seen under the wing and in front of the main gear. The ventral scoop was an intake for the turbocharger and intercooler but these were not installed on the prototype. The R2Y1 had a 45.93 ft (14 m) wingspan and was 42.81 ft (13.05 m) long. The aircraft stood 13.91 ft (4.24 m) high, weighed 13,260 lb (6,015 kg) empty, and had a maximum weight of 20,725 lb (9,400 kg). The Keiun had an estimated top speed of 447 mph (720 km/h) at 32,810 ft (10,000 m) and a cruise speed of 288 mph (463 km/h) at 13,125 ft (4,000 m). Maximum range was an estimated at 2,240 mi (3,610 km). The pilot sat under a raised bubble-style canopy that was toward the extreme front of the aircraft. The radio operator/navigator occupied an area in the fuselage just behind and a little below the pilot. The Keiun was powered by two 60-degree, inverted V-12 Aichi Atsuta 30 series engines, licensed-built versions of the Daimler-Benz DB 601. The engines were coupled together by a common gear reduction in a similar fashion as the DB 606. The resulting 24-cylinder power unit was known as the Aichi [Ha-70]. With a 5.91 in (150 mm) bore and 6.30 in (160 mm) stroke, the engine displaced 4,141 cu in (67.8 L) and was installed behind the cockpit and above the wings. The Aichi [Ha-70] engine was to be turbocharged and rated at 3,400 hp (2,535 kW) for takeoff and 3,000 hp (2,237 kW) at 26,247 ft (8,000 m). Without the turbocharger, the engine was rated at 3,100 hp (2,312 kW) for takeoff and 3,060 hp (2,282 kW) at 9,843 ft (3,000 m). The engine drove a 12.47 ft (3.8 m), six-blade propeller via a 12.8 ft (3.9 m) long extension shaft that ran under the cockpit. Engine cooling was achieved by radiators under the fuselage and inlets for oil coolers in the wing roots. A ventral air scoop was located behind the engine to provide induction air for the turbocharger and air for the intercooler. The R2Y1 Keiun undergoing taxi tests in May 1945. By the fall of 1944, the direction of the war had changed, and Japan no longer needed a high-speed reconnaissance aircraft. The R2Y1 Keiun was all but cancelled when the design team suggested the aircraft could easily be made into a fast attack bomber. In addition, the Aichi [Ha-70] power plant would be discarded, and one 2,910 lb (1,320 kg) thrust Mitsubishi Ne 330 jet engine would be installed under each wing. A fuel tank would be installed in the space made available by the removal of the piston engine. This jet-powered attack bomber had an estimated top speed of 495 mph (797 km/h). The project was approved, and the new aircraft was designated R2Y2. The decision was made to finish the nearly completed R2Y1 airframe and use it as a flight demonstrator to assess the flying characteristics of the aircraft. With pressurization, the turbocharger, and the intercooler omitted, the R2Y1 prototype was completed in April 1945 and transferred to Kisarazu Air Field for tests. Ground tests revealed that the aircraft suffered from nose-wheel shimmy and engine overheating. Yokosuka R2Y1 Keiun taking off from Kisarazu Air Field for its first an only flight. 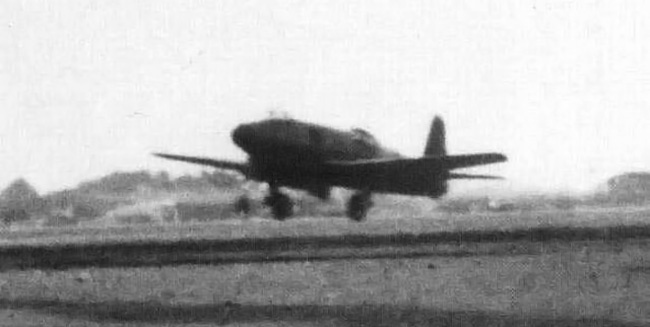 Adjustments were made to overcome the issues, and the Keiun took to the air on 29 May 1945 (date varies by source and is often cited as 8 May 1945), piloted by Lt. Commander Kitajima. The flight proved to be very short because the engine quickly overheated, and a fire broke out in the engine bay. Lt. Commander Kitajima quickly returned to the field, and the R2Y1 suffered surprisingly little damage. On 31 May during a ground run to test revised cooling, the engine was mistakenly run at high power for too long and overheated. The engine was removed from the aircraft to repair the damage. 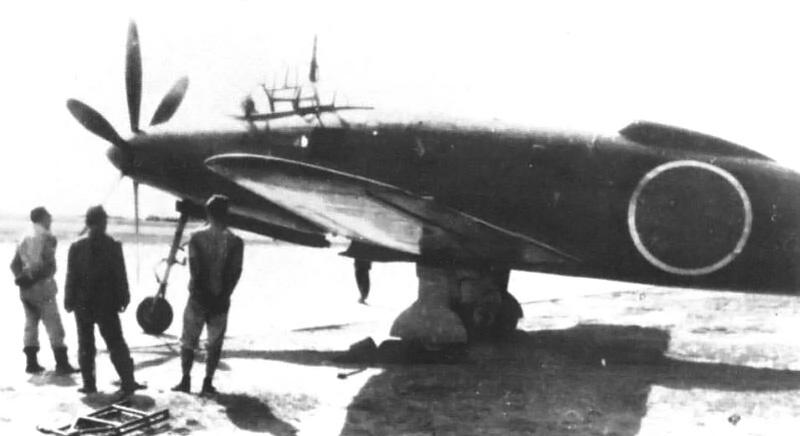 The R2Y1 sat awaiting repair for some time before it was destroyed by Japanese Naval personnel to prevent its capture by American forces (some say it was destroyed in an Allied bombing raid). Because of the end of the War, the second R2Y1 prototype was never completed nor was the design work for the R2Y2. The unfinished second R2Y1 prototype as seen at the end of WWII. Note the wing root and ventral intakes. The hole in the center of the bulkhead in the nose was for the propeller’s drive shaft. This entry was posted in Aircraft, World War II on 11 December 2012 by William Pearce. Nice, informative, article on an aircraft about which I had only been peripherally aware. I will return!